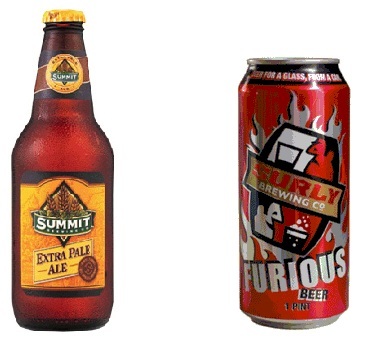 The American Homebrewers Association just released its list of the Top 50 Beers In America, and two local brewers made the list: Surly Brewing's Surly Furious, coming in at a six-way tie for #20, and Summit Brewing's Summit EPA, coming in at a five-way tie for #48. Surly also came in at #20 in their list of Top 25 Breweries and #25 (in a ten-way tie) for 25 Best Portfolios (clocking in with nine). Check the full lists here.